Before leaving the International Space Station, Scott Kelly teamed up with fellow crew member Tim Peake to tackle a joint nemesis: invading alien attackers. Fortunately for all concerned, the aliens were more of a ‘virtual’ threat than any kind of impending Independence Day-type destructive force. 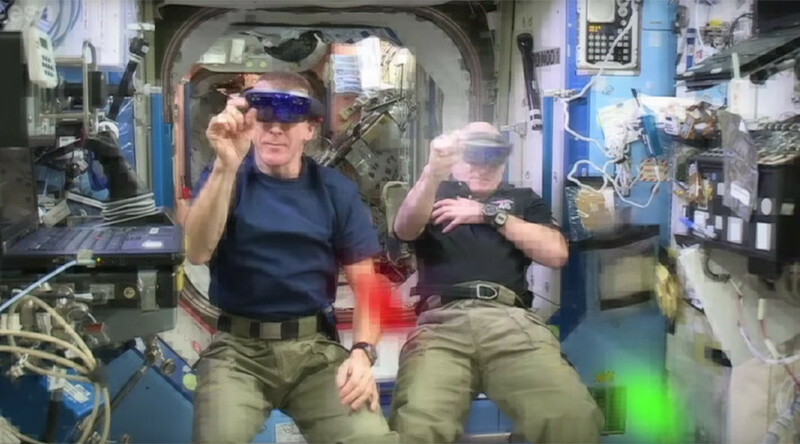 The European Space Agency’s latest video shows the astronauts letting off steam and having some fun when testing out a new virtual reality headpiece. The ‘Project Sidekick’ device could help astronauts carry out their work more efficiently by overlaying information and allowing mission control to virtually “look over their shoulder” as space crew members complete various tasks. Unsurprisingly, the guys managed to turn the testing exercise into a virtual-reality game of space invaders. You can now add space invaders to the growing list of mischief they (mainly Scott Kelly) get up to on the International Space Station. This includes liquid ping pong and gorilla suit pranks. Hey, the food is awful, there’s zero gravity, and when you’re on board the International Space Station, you’re basically trapped in a tube for months on end - what can you expect?